The Neck Lift gave this patient a better definition of the neck and a younger looking appearance. 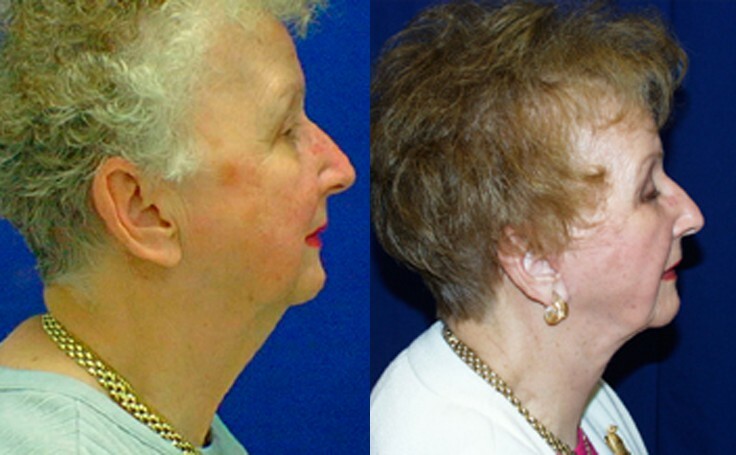 This patient had a Neck Lift performed by Dr. Ricardo Rodriguez in Baltimore, Maryland. The Neck Lift gave her a better definition of the neck and gave the patient a younger looking appearance. The Neck Lift removes excess fat and skin to enhance the patient's appearance. Dr. Rodriguez performs this procedure under IV anesthesia instead of General Anesthesia so that the post operative recovery can be easier.